13 “Frightening” Flicks For A Horrifyingly Happy Halloween! 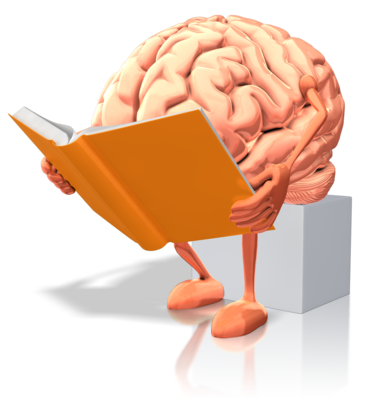 OK – a bit of a “fun” read hopefully. Halloween is just around the corner and after all the “bobbing for apples”, “trick-or-treating” and carving out pumpkins, we all know that Halloween is all about scary films, right? So, with that in mind, here are thirteen movies that whether you are with family or a group of friends – or having a night in by yourself (if you dare!) – are perfect viewing for the “scary” evening. ​We are not saying these are “the best”, “the scariest” or “the goriest” – simply thirteen films that are frighteningly good…..
How could this not be on here, right? Rob Zombie’s remake is good, but we’re looking at the original here by John Carpenter. “Halloween” is typical of a lot of the low budget horror films of the time and is in fact largely regarded as the first of the “b-movie” slasher type films that followed (although “Halloween” itself contains little visual violence or gore). The film was made for around $300,000 and went on to gross close to $50 million in the United States and $70 million world-wide. The film follows Michael Myers, an escaped psychiatric patient who murdered his sister when he was a child, who is now stalking high school student Laurie Strode and her friends…..
Incidentally, Strode was played by then unknown actress, Jamie Lee Curtis, with the film helping to catapult her to more prominent roles in the years that followed – although her initial casting in similar horror films in the immediate years that followed gained her the status of “scream queen” with regard to mainstream audiences. Arguably the greatest horror character of recent times, Freddy Krueger haunted many a teenager’s dreams throughout the latter part of the 1980s in “A Nightmare On Elm Street” and it’s sequels. Although there were still elements of dark humour that became more outrageous as the film series went on, the first installment is much darker and more concentrated than it’s follow-ups. 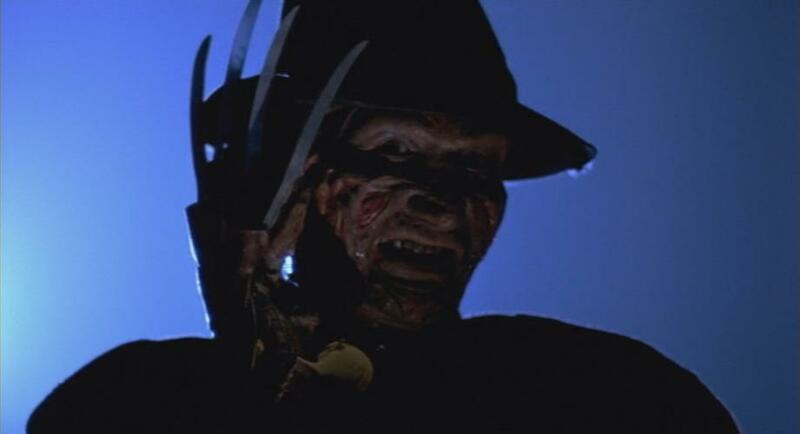 The Nightmare on Elm Street films are regarded by critics as having “carried the torch” forward from Halloween in producing low-budget but vastly entertaining slasher/horror films. Freddy Krueger - arguably the greatest horror character of all-time! Based on supposed real events, “The Amityville Horror” follows the Lutz family, who after buying a house where a mass-murder occurred the year before, begin to experience supernatural and evil happenings in their new home. This is well worth a watch and we will have a look at the real life events surrounding this film in a future article. Another horror flick from the mind of Wes Craven, and while certainly not what many would consider his best work, “Shocker” is full of all the beautiful clichés that make watching horror films like this fun. Filmed as a "found-footage" horror, that was a refreshing approach at the time of it’s release, if you happen to be spending Halloween in a cabin somewhere in the middle of the woods or the countryside, this will add that extra element of anxiety to your night. “Scream” confronts all the horror film clichés head-on, mainly through the ravings of film geek, Randy, who explains the typical horror clichés to his friends almost as they are happening in the film. OK, maybe a “controversial” choice as this is more of a fantasy/comic film than a horror flick, but all the elements are there to make this enjoyable viewing for any Halloween get-togethers. The story follows rock musician, Eric Draven, who after being murdered by one of the many gangs that infest the city, rises from the dead on “Devil’s Night” (one year since his murder), and led by a mysterious crow, he proceeds to exact his revenge…. ​Incidentally, this is also the film that Brandon Lee (who plays Draven) was filming when he was accidentally shot on set by a defective blank bullet, leading many to suspect foul play. Probably a film that needs to have a little more attention paid to it while watching, “Candyman” creates a dark almost inevitable atmosphere of doom, that almost makes the “jump” moments all the more intense. Dealing with urban myth from a cerebral perspective, as graduate student Virginia Madsen looks to complete her thesis, she comes across the legend of The Candyman…. Recommended viewing any time of the year. What’s more scary than a doll that “comes to life” and kills people, right? OK, you will find yourself laughing more at the cheesy, predictable lines and plots of this one, but in the end, that is the appeal of “Child’s Play” – you know what you are going to get – the tongue-in-cheek way the film progresses reminds us that it is just a film, and this allows us to enjoy it for the ninety minutes of “fun” that it is. The film tells the tale of a widowed, struggling single mother, who desperate to please her young son, buys a “Good Guy” doll from a back-street trader for his birthday. What she doesn’t know, is that the doll is possessed by a serial killer, who through his knowledge of “voodoo” placed his soul in the doll before he "died" in a shoot-out with police. Now “Chucky” begins to murder his way to the person that can bring him back to life once again….. Regarded as a cult classic now, “Poltergeist” was big news when it was released and spawned a successful sequel several years later. In a typical small Californian town, the Freeling family begin to notice strange goings-on at their home – playful at first, but things soon turn nasty when the youngest daughter is “kidnapped” and taken into the spirit world, leading the family to turn to a fringe group of parapsychologists for help to cleanse their home and get their daughter back……..
OK – now Halloween isn’t just for the older kids and grown-ups, right? “Hocus Pocus” is one of those “for all the family” films that is quite charming in it’s delivery and is dripping with Halloween atmosphere. Set in the small town of Salem, Massachusetts, three witches, the Sanderson Sisters, are accidentally brought back to life by a teenage boy looking to impress a girl while taking his younger sister trick-or-treating. Now it is up them to stop the terrible trio before they take over Salem. ​Full of fun, and although it was widely “panned” at the time by critics, it has since become a bit of cult classic. Hocus Pocus - Halloween "fun" for all the family! Similar to “The Blair Witch Project” “Paranormal Activity” is filmed in a found-footage style – generally through a hand –held camera or through the CCTV cameras that Katie and Micah, have set up to document what they believe is strange activity in their home. There was also no “real” script to the movie. Katie and Micah (their real names incidentally) were given general outlines of what was to happen and for them to improvise from that. This gave a very “real” authentic feel to the film, as did the style in which it was shot. Perhaps because of this, in a similar way to “Candyman”, the jump scenes really make you do exactly that! As “Halloween” proved to be a huge financial return, so did “Friday The 13th” which was made for around $500,000 and went on to gross just over $50 million world-wide. 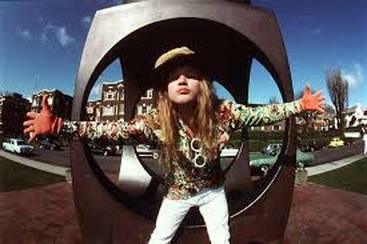 ​﻿Possibly The Best Band And Frontman You Have Never Heard Of: Andrew Wood And Mother Love Bone! In the interest of doing our bit to keep the work of Andrew Wood and Mother Love Bone alive, we have a look at the greatest band that never was!